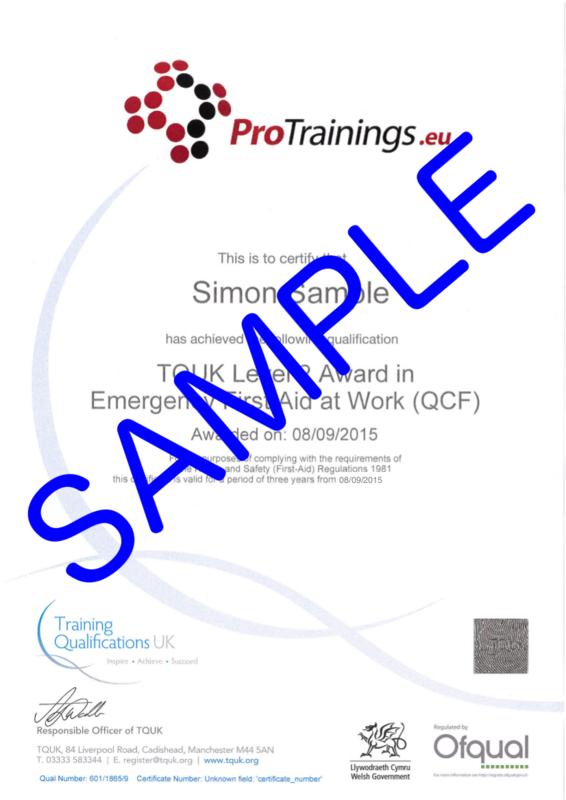 TQUK Level 3 Award in Emergency First Aid at Work (RQF) part 2 where you have already completed the online course. The Emergency First Aid at Work Level 3 qualification (EFAW) is ideal for most businesses whose risk assessment has identified that there is no requirement for a fully trained first aider for their workplace. All courses are delivered, evaluated and quality assured to meet the new guidelines set out by the HSE in October 2013 and meet the requirements of the First Aid at Work (First Aid) regulations 1981 and subsequent 2017 changes. In May 2016 the HSE and Awarding Organisations announced that computer-based blended training is now allowed for all workplace first aid courses. You now have the option to complete your Emergency First Aid at Work course as a blended course, with 3 hours of online training followed by 4 hours in the classroom. Our blended training allows you to learn the theory at your pace, one to one with your instructor at a time that suits you.